Oil producers in the Opec group of countries will make another attempt this week to reverse a slump in crude prices, according to Algeria's energy minister. Noureddine Bouterfa said there would be an informal gathering of Opec members on the sidelines of an energy conference in Algiers on Wednesday. "We will not come out of the meeting empty-handed," the minister added. The fall in prices has been causing problems for poorer members of Opec. Oil prices collapsed from peaks of more than $100 a barrel in mid-2014 to near 13-year lows below $30 in January. The price on Friday was $44.48 a barrel. Analysts remain gloomy about the chances of an agreement. Michael Hewson, chief market analyst at CMC Markets UK, said: "Given that Opec has failed to agree much of anything in the last 12 months, it seems unlikely that it will start now." Opec's 14 members, which produce about a third of the world's oil, have so far failed to agree a deal to cut output that would prop up prices. But the state of the oil market was "more critical" than when Opec last met three months ago, Mr Bouterfa said. Crucially, Saudi Arabia, the largest Opec member and which has resisted production curbs, may now be more willing to cut output, he added. Saudi Arabia pumped a record 10.69 million barrels a day in August compared with 10.2 million in January, according to data compiled by Bloomberg. Although Wednesday's meeting is an informal gathering, Mr Bouterfa did not rule out it becoming a formal event. He said: "Either we reach an agreement, which would be good, or we reach an understanding on the elements of an agreement, and that would also be good. "Every state in the organisation agrees on the need to stabilise prices, it just remains for us to find a format that pleases everyone. The best solution would be a (production) freeze." 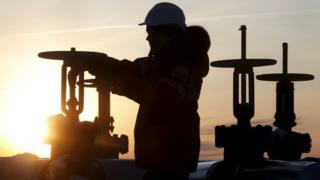 Opec members are losing between $300m and $500m a day, Mr Bouterfa said. "No (oil) company will be able to withstand it if prices remain under $50 a barrel," he added.